Raise awareness for pancreatic cancer by wearing this inspirational t-shirt. The knock out cancer designs shows that you will stop at nothing to find the cure. 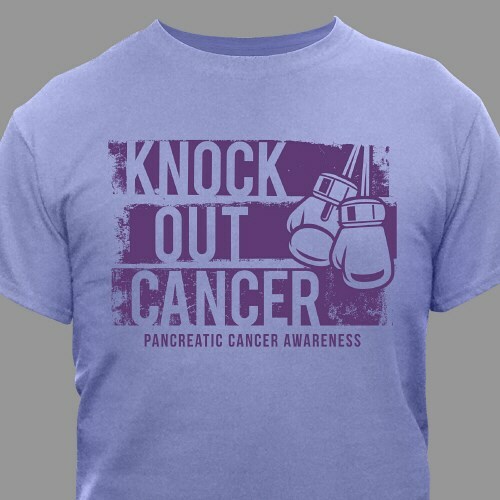 Our pancreatic awareness design is available on our premium 100% cotton t-shirt, machine washable in youth sizes XS-L and adult sizes S-3XL. It makes a great statement when joining walk events in your community.